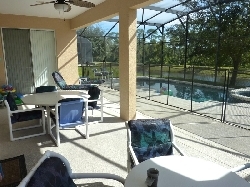 This spacious home is in Emerald Island which is the most desirable Resort Communities in the area and it is less than 3 miles to Disney World. This home offers, 6-7 bedrooms 5 1/2 bathrooms, 4 Master Suites all fit for a King with their lavish beds and decor and private bathrooms. 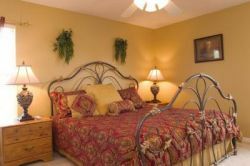 Each bedroom is set up with TV and VCR/DVD players. 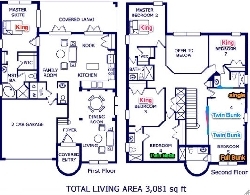 There are two other bedrooms with Twin bedrooms, a computer Loft, Formal Living Room and Dining Room. There is a Den and Kitchen that overlook a "South Facing Pool", GAME ROOM is outfitted with Pool Table, Air Hockey and TV/VCR/DVD and more games. 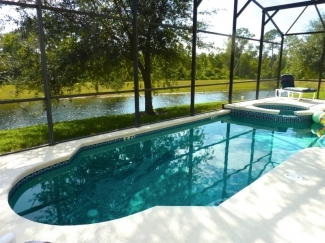 This home is the ultimate in Vacationing but is only a part of what you get. The Resort itself has a heated pool and spa, Tiki Bar for relaxing and enjoying friends. There is a fitness room and Sauna. Gathering room for meetings, Cyber cafe with INTERNET ACCESS. Video game room. Concierge Service for tickets, dinner reservations and shows, Shuttle Service to the attractions, and a host of other treats for you. 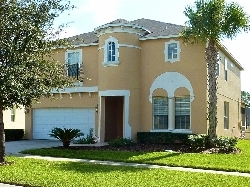 For More details Call us at 407-846-8484 or fax your request for this home to 407-846-0008. The virtual tour is also available. 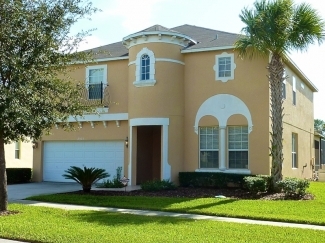 2 story with One Master Bedroom downstairs with Garden Tub, 3 More Masters upstairs with additional double, bunk beds, twin bedded guest rooms. microwave, dishwasher, washing machine and dryer, iron and ironing board. 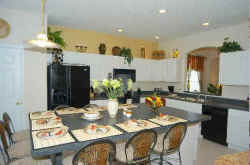 email us for the VIRTUAL TOUR.... 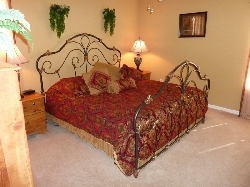 If a picture says a thousand words, our VIRTUAL TOUR speaks volumes! ....CONSIDERING BUYING A HOME LIKE THIS, -- Property Manager is also a Real Estate Broker and Short Term Rental Specialist. Just ask her for Seminar Details held every month. We have been in the Rental Business for 17 years and throughly enjoy helping people make their plans and fulfill their DREAM HOLIDAYS. 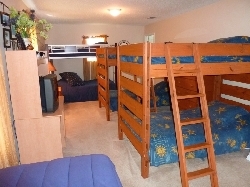 Our rate is 2486 dollars per week except major holidays which are slightly more. Our "Thank You" Discount is available, Feel free to apply for it. The Emerald Castle rents for US$2486 per week which includes taxes with the Holidays slightly more.